THIS IS one of those one in five years in which we the people get the chance to vote for the European Parliament. The trouble is, apart from political wonks, nobody knows who their member (MEP) is, let alone how to vote in the election, which is on this Thursday, 22 May 2014. Instead of saying “A plague on their houses”, why not use your vote to express your opinion? As our ancestors would tell us – unless they were members of the royal family – a vote is something they had to fight for and it should never be wasted. If you are on the electoral register, you can vote in the Euro parly election, just as you can, on the same day, for councillors in your ward and in Hackney (town hall, above), Islington, Newham and Tower Hamlets, for a mayor. Unfortunately, the representation system is different from that in the UK. The huge EU press office, the MEPs and the mainstream parties seem unable to explain how it works. Invariably, they referred Loving Dalston to websites that were no help if not out of date. A linked BBC site started by talking about Ukip MEP Nigel Farage and showed every sign of not stopping. Strasbourg tram stop called Rights Of Man: would Tom Paine approve? The confusion is such that a suspicion can develop that MEPs like it that way: the less the public know of what they do, the better. But enough of that, this article is trying to open not mask the process. First, you need to be on the electoral register, the same one that allows you to vote in UK elections and referendums. Then go on 22 May to your local polling station, which Hackney council will tell you about, if it has not already done so. If you have not registered, contact the council. Do not look at the how-to-register video. It is patronising and likely to irritate viewers. It is not the only online video failure: another has a Scottish voiceover, which is embarrassing, given that Scotland has been warned that it may be thrown out of the EU if it wins independence from England. In the Euro election, you will have one vote to elect all of your MEPs. Eh? Well, every party presents a list of candidates known as a “regional list” and you vote for one of these lists. Or you can vote for an individual candidate standing as an independent. The number of MEPs elected from every party to represent a region depends on the overall share of votes that the parties receive. Briefly, you vote for a party or grouping of parties and votes are distributed proportionally. What does the Euro parliament do? 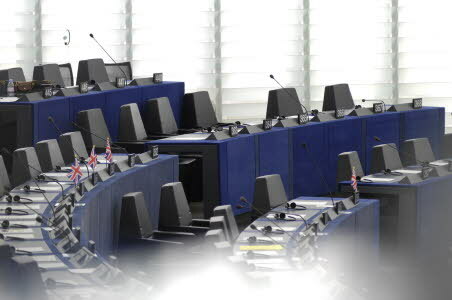 MEPs say they spend some of their time in their regional constituencies in the UK – we’ll have to take their word for that because we rarely see them – and some time politicking in Brussels, the capital of Belgium. For a week in every month they go to Strasbourg to debate new European laws with other MEPs. The tiresome monthly trek to a small city near Germany derives from a historical insistence by France. One can but admire French tenacity. An EU publicist was keen for this article to describe the work of MEPs, which raised the issue of what they are paid for that work. The Guardian reports that they earn a salary of £79,000 per annum, £42,600 pa for office expenses, staff allowances of almost £200,000 pa and £250 a day every time they turn up to a Euro parliament. The Prime Minister of the UK is paid £142,500 a year. So, whatever you might think of the European idea, proposed by Winston Churchill after the last world war, it has as huge effect on the lives of northeast Londoners, if only for the Euro parly-approved employment rights often grudgingly implemented by the UK Government. * Some of the sites above have oddities that you may find annoying. Do not blame Loving Dalston for linking to them in the absence of anything better. Registration advice is available at Hackney council (020 8356 3232) town hall, pictured above. Press this link for a list of candidates.